So, as you may know, I’ve just started an MSc in Control of Infectious Diseases at the London School of Hygiene and Tropical Medicine. Today was the last day of the orientation week (and, coincidentally, my birthday). I feel a bit like a rabbit caught in the headlights right now and am looking forward to the first day of teaching next Monday so I can ground myself a bit. 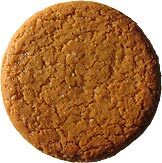 The School is welcoming and I’m enjoying being there (I told the guy working on the till in the refectory this morning that it was my birthday and he gave me a packet of ginger nuts to go with my tea – apposite as I am a redhead). 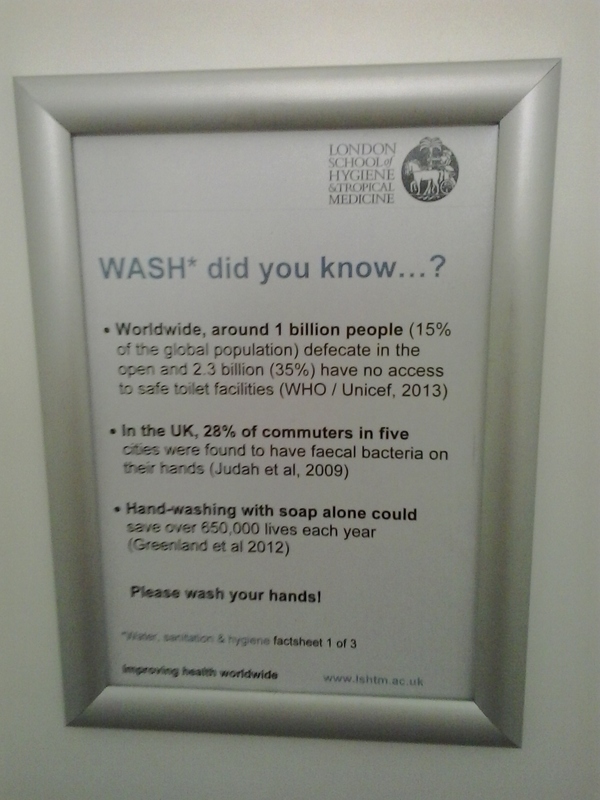 As you’d probably expect the School is hot on hygiene on its premises and the doors in the loos (the ladies at least, I can’t vouch for the mens) are decorated with informative placards like this one. It works on so many levels really – it describes the sanitary (or otherwise) situation in some countries in the developing world. It mentions a pretty shocking statistic from the UK. And it states what we can all do to prevent ourselves and others transferring this stuff around and making people ill. I suppose a key point is that even WITH easy access to clean toilets, plentiful clean water and antibacterial handwash we don’t take enough care of such a basic thing. When I was in Kathmandu 4 weeks ago there was a small cholera outbreak that was mostly due to the fact that a few people are having to live under tarpaulin tents on the banks of the river as the recent earthquake has destroyed their homes and, maybe, their livelihoods. These people really DON’T have access to adequate toilet and washing facilities, and the river is often filled with rubbish, with large black pigs rootling around, looking for their next meal. It’s a bit like that irritating thing that your mum used to tell you when you were a kid and you left food on your plate: ‘there are starving children somewhere in the world who would like to eat that’. Realistically whether we wash our hands or not is going to make zero difference to those people suffering (and sadly possibly dying) from a disease like cholera. Cholera is actually easy to prevent and treat – if you have the resources available. So if we are lucky enough to have access to these resources, then I vote that we should use them. I’ve applied to the MSc in Control of Infectious Diseases at the London School of Hygiene and Tropical Medicine for the Fall of 2016 and was wondering if you would be interested in sharing some thoughts on the program? I’ve been accepted at Liverpool and am trying to decide between the two! 🙂 Thank you!